Alanosine, also known as L-alanosine, is an amino acid analogue and antibiotic derived from the bacterium Streptomyces alanosinicus with antimetabolite and potential antineoplastic activities. L-alanosine inhibits adenylosuccinate synthetase, which converts inosine monophospate (IMP) into adenylosuccinate, an intermediate in purine metabolism. L-alanosine-induced disruption of de novo purine biosynthesis is potentiated by methylthioadenosine phosphorylase (MTAP) deficiency. The clinical use of this agent may be limited by its toxicity profile. 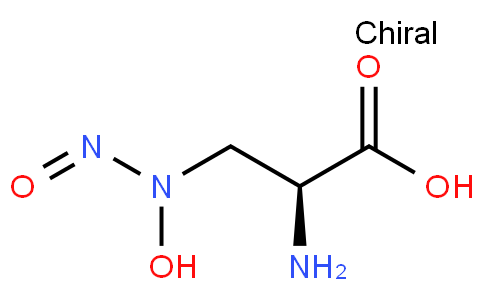 MTAP is a key enzyme in the adenine and methionine salvage pathways.